The OS Giken STR series clutches are designed to offer much higher torque capacity than a normal clutch, while retaining drivability very close to standard. By using special new plate and diaphragm designs, OS Giken have achieved ample power handling with just 715kg clamping pressure. This makes the STR series perfect for every-day driving applications, along with most race and drift applications. 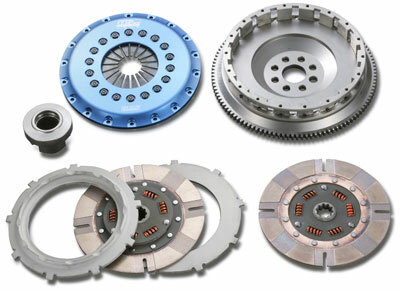 The clutches come complete with light-weight chrome-moly flywheel, blue-anodised billet aluminium clutch cover and the required bearing/carrier setfor direct fitment to the M3. We do not recommend this series for dedicated drag use. They are suitable for up to 550hp at the engine.